EHP Labs OxySleep is set to be the next key supplement added to their ever-expanding product line. With killer supplements already covering key market segments like pre-workout, fat burner, whey protein, BCAAs and creatine, EHP Labs have decided to elect sleep as the next segment they will target. EHP Labs have created another excellent product to the market. 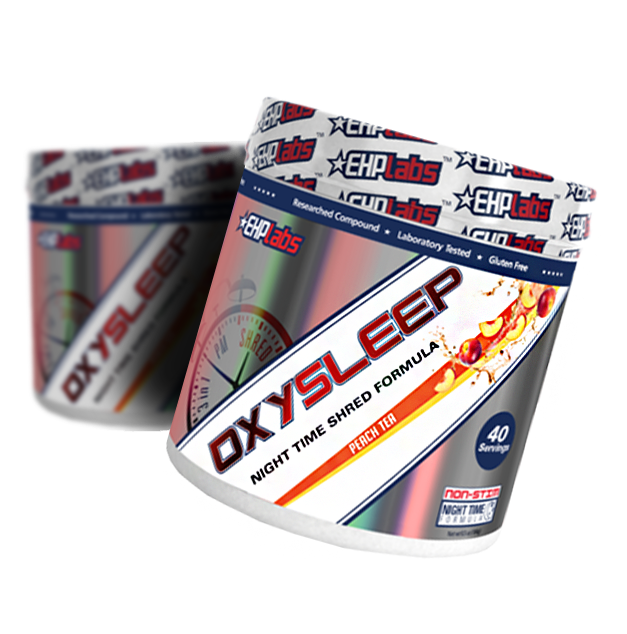 OxySleep offers a range of benefits in using the supplement and can be easily stacked with other EHP Lab products. OxySleep does not use any sedatives to help you sleep, instead they have added deep sleep activators that can help you feel refreshed and energised the next morning you are awake. The main highlights lies in the effective ingredients combined to synergistically work on various pathways in the body. Added ingredients such as ZMA, Phenibut, 5-HTP and Valerian Root is responsible for regulating the sleep and enable REM (Rapid Eye Movement) deep sleep. OxySleep provides the benefits of helping you regulate your sleep to keep you awake and not fatigued during the day. At the same time, it also helps to improve fat burning while you are asleep. Research suggests that having deep sleep and finding ways to improve sleep is important for muscle growth. During sleep, the body releases human growth hormone and continues to release growth hormone throughout sleep. Having enough sleep can ensure you are getting adequate growth hormone released, so it is crucial to get quality sleep or It will greatly affect your ability to gain muscle or lose fat. Aside from the deep sleep, OxySleep has added non-stimulant thermogenic boosters to promote blood sugar balance and metabolic activity. These thermogenic ingredients help you burn fat while you’re sleeping. EHP Lab’s have always put a lot of effort in creating new and great tasting flavours. OxySleep will be available in three flavours including Fuji Apple, Peach Tea and Strawberry Daiquiri. Like the other EHP Lab products, OxySleep flavours are diverse and mixes well with water. EHP Labs OxySleep is a versatile product that can be used for trainers at any level. It is a product that can be stacked safe with all EHP Labs products. More importantly, for those who want to gain maximum benefits of fat burning you can consider stacking it with Oxyshred, Acetyl-L-Carnitine and OxyWhey for enhancement of energy and fat loss.